Find hotel near Vancouver Convention Cent .. 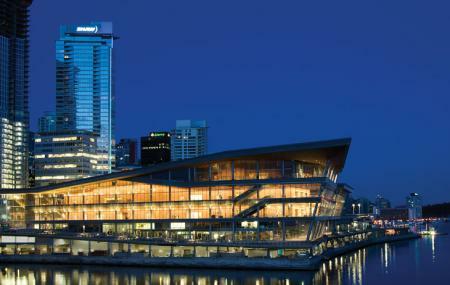 Opened in 1986, the Vancouver Convention Centre is one of the largest facilities in Canada. The multi-functional building has a cruise terminal at the east wing, a hotel, exhibition halls, meeting rooms and a grand ballroom. Even though you can walk around the building any time of the day, the Public tour is much preferred by tourists. The tour covers the architecture of the building along with its unique features like the 6-acre living roof, building style, marine habitat and much more. For prices of trending events and Public Tours, visit the official website. For timings of trending events and Public Tours, visit the official website. Recommended time to visit between 08:00am to 07:00pm. By renting a Car, Bicycle or Scooter. Love this? Explore the entire list of places to visit in Vancouver before you plan your trip. Fancy a good night's sleep after a tiring day? Check out where to stay in Vancouver and book an accommodation of your choice. How popular is Vancouver Convention Centre? People normally club together Granville Island Brewing and Lions Gate Bridge while planning their visit to Vancouver Convention Centre. Came here for the dental conference. It's a beautiful venue with the most gorgeous view of the mountains. Do bring comfortable shoes as you do need to walk on carpet and it gets tiring very quickly if you're in heels. Miki is a high class Japanese restaurant. Food is a delicacy that you cannot find at all you can eat restaurant. Highly recommended. They did an awesome job for the Pacific Dental Convention. The canteen they had for snacks was GROSSLY overpriced. But the rest of the facilities were awesome. I dont know if I should blame the bad conventions we have on the center or the organizer. It's a beautiful building that is very well kept; nothing to really complain about. Bathrooms are very well designed and you feel safe when you are attending conferences in the area. Some of the carpet is getting old! I have attended so many events here over the past 10 years. I have the best memories of the Epic Expo that I was a volunteer for. The international wine festival is always one of the highlights of the year.